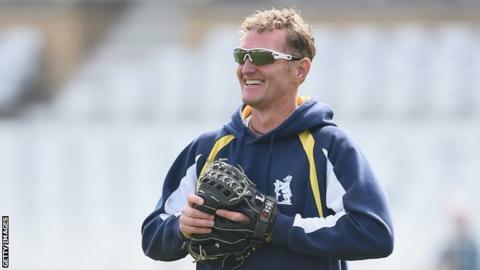 Warwickshire will be in "confident" mood as they head for Chelmsford in the One-Day Cup quarter-final, according to director of cricket Dougie Brown. However, as they look to repeat their T20 win at the same stage against Essex earlier this month, Brown also warned that Saturday's T20 Blast final victory over Lancashire now counts for nothing. "We should be feeling confident as we now have great momentum," said Brown. "But we must not get carried away. Chelmsford is a tough place to go." The Bears are without their two England internationals - Ian Bell and Chris Woakes - who both contributed so well to last Saturday's spectacular success in front of a near 25,000 Edgbaston full house, the club's first silverware since Brown took charge. But the Bears won at Chelmsford without Bell and Woakes on T20 quarter-final day on 3 August, Rikki Clarke and skipper Varun Chopra proving the stars of the show in a 19-run victory. And Brown is stressing that the same sense of teamwork and solidarity can serve up more success. "It's a different format, with different skills," he told BBC Sport. "And we're going to a place where the Essex guys clearly love playing. "But we've got to keep playing as a team. Winning at Chelmsford should be great for confidence, just as it was when we did last Saturday night. But that's gone now. We have to keep our feet on the floor and do what we're good at." Brown may be tempted to go with the same team who, despite Jonathan Trott's ton, lost off the final ball to Nottinghamshire in last Wednesday's final group game. But he admitted: "We have a few niggles, so we'll have to see who rocks up."